Mohamad has over 15 years’ experience working in the telecommunications sector and is the IHS Nigeria Chief Executive Officer overseeing IHS Towers’ largest market. He is a Co-founder of IHS Towers, has worked in various finance and technical functions and served as the IHS Nigeria Business Development Director and Deputy CEO before becoming the Nigeria CEO. Mohamad is responsible for growing IHS Nigeria’s operations and further strengthening its position as the leading tower company in Nigeria. He oversees the development of the IHS Nigeria strategic plan, the roll out of new sales strategies, and manages various key relationships with clients, regulators, ministries and NGOs. As a member of the IHS Finance and Banking, Risk Management, and Ethics and Compliance committees, Mohamad also focuses on defining IHS Towers’ strategic plans on a group level while ensuring the Company is fully compliant with international standards and best practices. 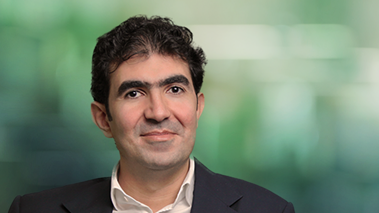 Mohamad has a Master of Engineering in Applied Operation Research from Cornell University, a Master of Business Administration with Honours from Rollins College, and a Bachelor of Electrical Engineering from the American University of Beirut. He is also fluent in both Arabic and English.